July 13, 2016 -- Links International Journal of Socialist Renewal traducción por Viento Sur -- El ambiente entre los 3 000 seguidores de Bernie Sanders reunidos el pasado fin de semana en el McCormick Place de Chicago rezumaba un optimismo improbable. Muchas de las personas que intervinieron proclamaron, entre vítores de la multitud, que el movimiento había triunfado, a pesar de que Hillary Clinton, la probable candidata oficial del Partido Demócrata, haya obtenido la mayoría de los votos populares y cuente con el apoyo de la mayoría de delegados y superdelegados, además del respaldo del presidente Barack Obama, del vicepresidente Joe Biden y de la senadora Elizabeth Warren. Esta paradoja –entre la creencia del movimiento de Sanders de que hemos logrado algo muy importante y la clara victoria de Clinton en las primarias– marca el contexto contradictorio de esta conferencia de gentes, yo entre ellos, progresistas, radicales y socialistas que buscan una vía hacia el futuro. 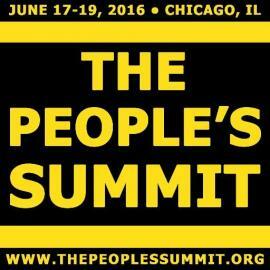 July 6, 2016 — Links International Journal of Socialist Renewal reposted from New Politics — The mood among the 3,000 Bernie Sanders supporters meeting in Chicago McCormick Place was improbably optimistic over the weekend of June 17-19, with many of the speakers proclaiming to cheering crowds that the movement has been victorious — even though Hillary Clinton, the presumptive nominee of the Democratic Party has received a majority of the popular votes and a majority of elected delegates and super-delegates, as well as the endorsements of President Barack Obama, Vice-President Joe Biden, and Senator Elizabeth Warren. That disjuncture — between the Sanders’ movement’s belief that we have achieved something quite important and Clinton’s clear victory in the primary — provides the contradictory context for this conference of progressives, radicals, and socialists searching for the way to the future, I among them. 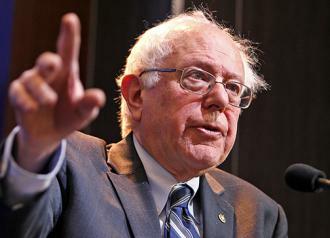 The attitude to the presidential campaign of long-time independent US senator and self-proclaimed socialist Bernie Sanders has become a major debate on the US left. Some see his decision to run as a Democrat as the major dividing line, accusing him of sidetracking the left into support for the capitalist Democratic Party. Others, while recognising Sanders' shortcomings, point to the wider role his campaign can offer in providing a more radical pole of attraction in US politics at a time when the left is weak. Below Links International Journal of Socialist Renewal makes available two views from significant sections of the US socialist left. Readers' comments are encouraged in the comments box after the articles. For more by Paul Le Blanc, click HERE. For more discussion of "Leninism", click HERE. 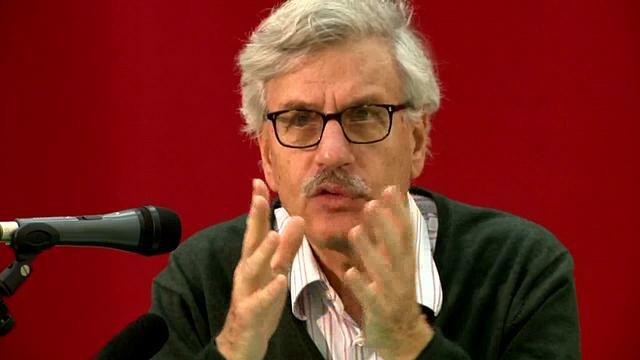 August 6, 2014 -- Socialist Worker (USA) -- Paul Le Blanc is a veteran socialist and author, most recently, of Unfinished Leninism: The Rise and Return of a Revolutionary Doctrine. In response to an article by British socialist Ian Birchall published at the Revolutionary Socialism in the 21st Century website [published by the socialist group of the same name, abbreviated as RS21], Le Blanc wrote this commentary to contribute to the discussion of "Leninism". 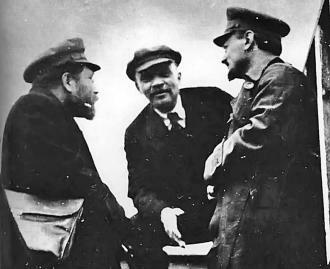 Ian Birchall has made an important contribution to the ongoing discussion on the international left about the meaning and value of Leninism, which is one of the focal points of my recent collection Unfinished Leninism: The Rise and Return of a Revolutionary Doctrine. Here I would like to make a few comments about what this esteemed comrade has to say. June 24, 2014 -- Socialist Worker (US) -- Nearly six years into Barack Obama's neoliberal presidency, there are growing signs of discontent within the Democrats' traditional voting base. While both of Obama's electoral wins can be attributed to the turnout of young, female, Black, Latino/a and working-class voters, these are precisely the groups that have most suffered from the economic crisis and his administration's commitment to austerity. This is part of the reason why, for the first time since 2000, there is a space opening up in mainstream politics to the left of the Democratic Party. 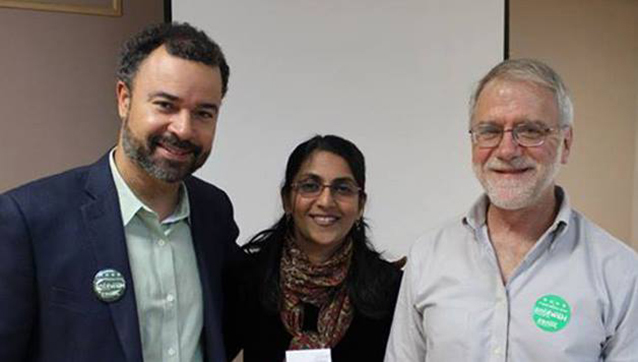 In Seattle, socialist Kshama Sawant's campaign for the city council was able to gain support from constituencies, including some unions, that would normally support the Democratic Party. 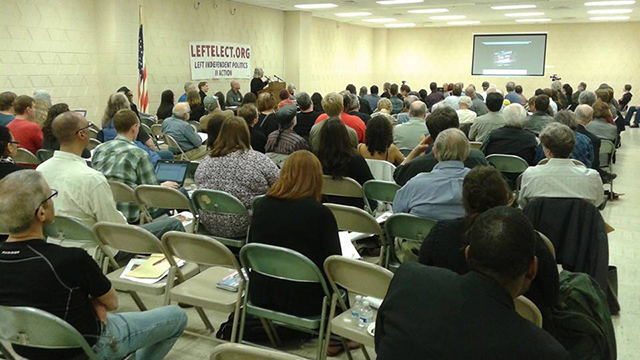 In Lorain County, Ohio, union activists angered by their local DemocraticParty mayor and city council broke ranks and ran their own independent slate of two dozen labour candidates--nearly all of whom won. This represents a flexing of labour muscle in the face of Democratic Party betrayal, rather than a firm break, but it points to the potential working-class audience for an independent political alternative. 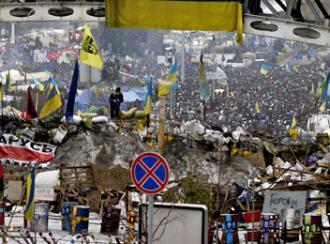 A dense crowd of protesters fill the streets beyond a barricade in Kiev. Photo by Christiaan Triebert. February 24, 2014 -- Socialist Worker (USA) -- Ukraine's president, Viktor Yanukovich, has been driven from power after the mass protest movement that has occupied Kiev's Maidan (Independence Square) since November survived a deadly crackdown the previous week. 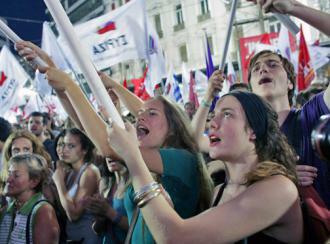 In a matter of days, the country's corrupt and autocratic regime was overwhelmed. The parliamentary opposition to Yanukovich--dominated by centre-right and even far-right parties, backed by the European Union (EU) and US government--is moving quickly to establish its authority, ahead of new elections planned for May. Its goal is to head off any further action from below that might undermine their claim to speak for the uprising--and that might target the country's elite beyond Yanukovich and his ruling party. 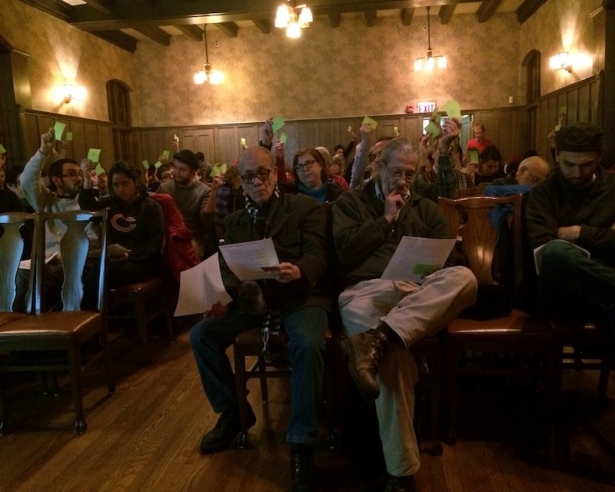 Nearly 100 people met at the Jane Addams Hull House Museum on January 22 for the founding meeting of the Chicago Socialist Campaign. Photo by Isaac Silver. 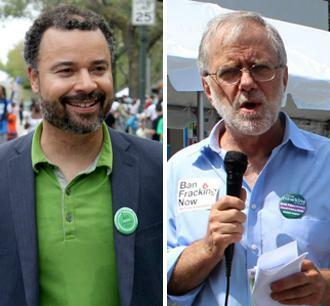 January 24, 2014 -- In These Times -- If a socialist can win an election in Seattle, why not Chicago? That was the spirit at the University of Illinois-Chicago’s Jane Addams Hull House Museum on January 22, where close to 100 Chicagoans gathered for the founding meeting of the Chicago Socialist Campaign. 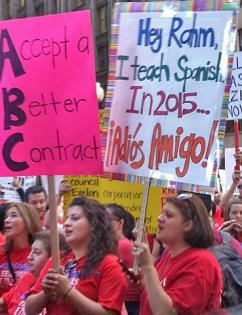 Chicago Teachers Union members during their strike against Democratic Party mayor Rahm Emanuel's assault on public schools. January 14, 2014 -- Socialist Worker (USA) -- The Chicago Teachers Union wants to shake up the city and state political establishment. In a sweeping majority vote, representatives of the union's 23,000 members passed a resolution to launch an independent political organisation (IPO). The goal of the initiative is to unite progressive groups, non-profit organisations and trade unions around political campaigns that have the potential to sustain social movements and activism, rather than empowering Democratic Party candidates who have turned their back on teachers and public education.